Tuscany spans throughout 23,000 kilometers of Central Italy and is home to a population of more than 3.8 million people, known internationally for its rich cultural and artistic heritage. The region is considered to be the birthplace site of the Italian Renaissance and has left a lasting impression on high culture throughout the world in the realms of gastronomy, art, and fashion. Capital city Florence is one of Italy’s most-visited tourist sites, and seven locations throughout the region have been designated as UNESCO World Heritage Sites for their cultural significance. Wines produced throughout the region have become synonymous with fine viticulture, including the world-renowned Chianti varietal and regional favorites such as Vino Nobile di Montepulciano. 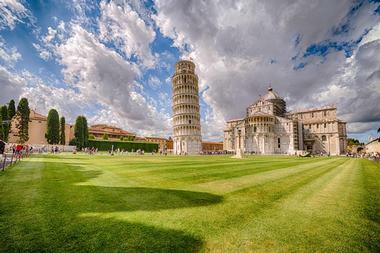 Pisa is best known for its famed Leaning Tower bell tower, constructed in 1372, which is considered one of the great wonders of the modern world. The city is located within Tuscany’s central region near the Arno and the Ligurian Sea and serves as the capital city of its eponymous province, home to more than 91,000 residents. Other important architectural sites within the city include more than 20 historic churches, as well as the scenic Square of Miracles, the Baptistry, and the Caposanto Monumentale cemetery. The city is the home of the historic University of Pisa and is noted for its unique cecina chickpea flour bread, which is also prepared as schiacciatina flatbread. In June, a number of events celebrate the city’s patron saint San Rainieri, including the Regatta of San Ranieri and the Luminara. Florence is the capital city of Tuscany and its most populous metropolitan region, home to more than 1.5 million residents throughout its greater region. The city was designated as a UNESCO World Heritage Site in 1982 for its role in the birth of the Renaissance, commonly known as the “Athens of the Middle Ages.” It has been noted by Forbes magazine as one of the most beautiful cities in the world, showcasing numerous cultural and artistic sites, such as the Uffizi Gallery, the home of da Vinci’s Annunciation, and the Galleria dell’Accademia, the display site of Michelangelo’s David. 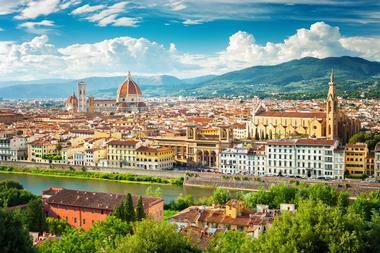 It has also been ranked as one of the world’s top fashion capitals and is one of Italy’s wealthiest cities. Siena is one of Italy’s most renowned tourist sites, attracting more than 163,000 international tourists annually. 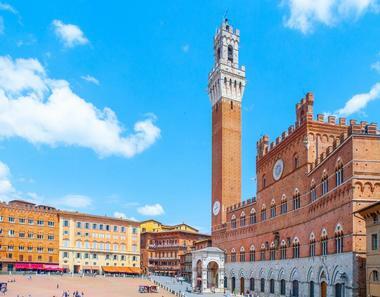 The city is the capital of its eponymous province and showcases a collection of stunning brick structures from the Medieval era, including its Gothic-style Palazzo Pubblico town hall and its 14th-century Torre del Mangia tower that offers sweeping views of the city’s skyline. Much of its character has been preserved since the 14th century, with traffic banned within its historic city center since the 1960s. Despite this, the town showcases a number of thoroughly modern attractions, including art museums, professional sports teams, and university-centric culture and nightlife. Every year, the city is home to the biannual Palio horse race, which brings together racers from the city’s various neighborhoods to complete a course around its Piazza del Campo. Arezzo sits on top of a hill in southeastern Tuscany, located at the intersection of the Valdarno, Casentino, Valdichiana, and Val Tiberina Valleys. Though its tenure as a city center dates back to the Paleolithic era, it has been one of the region’s wealthiest cities since the opening of the Etruscan Atrium in the ninth century B.C. Today, it is best known as the filming site of Oscar-winning feature film Life is Beautiful, with information about the film’s locations decorating the city’s famous sights to orient tourists and fans. Major attractions include the famed Basilica di San Francisco, which showcases a fresco cycle portraying the Legend of the True Cross, and the beautiful hilltop Arezzo Cathedral. 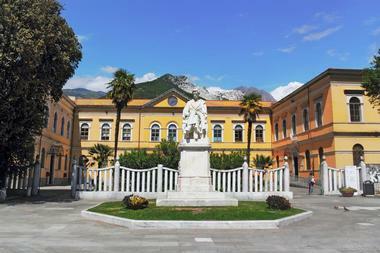 Carrara is a Tuscany comune located along the Carrione River, approximately 100 kilometers from Florence. The city is best known as a quarry site for white and blue marble and showcases a true taste of the quiet, quaint Italian countryside. Marble quarrying and cutting workshops are offered by the city’s Carrara Marble company, while tourist-friendly waterfront areas such as Marina di Carrara and Marina di Massa offer beautiful, family-friendly public beaches. Historic sites include the Piazza del Duomo, which is home to an 11th-century white marble Romanesque cathedral and a house frequented by legendary artist Michelangelo. Chianti is a region of Tuscany that has become synonymous with its fine wines, known around the world as some of the highest-quality varietals in the world. The beautiful region encompasses the cities of Castellina, Gaiole, and Radda and the territories of Greve and Panzano, along with expansive stretches of world-class vineyards. The region is a top cultural destination in Tuscany, home to museums such as the Museum of Sacred Art at San Casciano Val di Pesa and the Museum of the Treasury of Santa Maria dell’Impruneta. It is also a prime spot for gastronomy enthusiasts, offering a wide variety of restaurants and cafes that have been highlighted internationally for their artisanal Old World-style fare. Cortona is one of the Val di Chiana’s primary cultural centers, a former Roman colonial city believed to have been linked to the Biblical story of Noah and incorporated into Italy in the mid-19th century. The hilltop city showcases important cultural sites such as the Etruscan Academy Museum, which showcases notable artifacts from Etruscan, Egyptian, and Roman cultures. Other cultural destinations include the Diocesan Museum, which highlights religious panel pieces painted by Fra Angelico. A number of significant archaeological sites are also located throughout the city, along with historic sites such as the Piazza Garibaldi and a number of Etruscan chamber tombs. Elba is a large island within the Tuscan Archipelago in the Tyrrhenian Sea, the nation’s third-largest island region after Sicily and Sardinia. 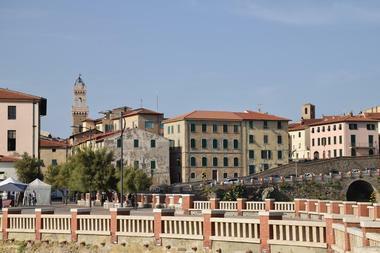 Historically, the region is best known as the site of French Emperor Napoleon’s 300-day exile in 1814 and 1815, which is documented in detail at Portoferraio’s National Museum of Napoleonic Residences. Today, the island has become known as a prime wine tourist destination in Tuscany, known for its beautiful beaches and summertime resort residences. A network of road racing trails span the island, including a noted stretch between Rio nell’Elba and Porto Azzurro linked to famed 20th-century racer Fausto Coppi. Grosseto is the most populous region within the Maremma and is the capital city of its eponymous province, located approximately 14 kilometers from the banks of the Tyrrhenian Sea. The area’s history can be traced back as early as the eighth century A.D. but remained a small village until its rule by the House of Lorraine in the 18th century. Today, it is known as the home of a number of famed architectural works, including the 16th-century Medicean Walls, the Grosseto Cathedral, and historic cultural sites such as the 19th-century Teatro degli Industri. 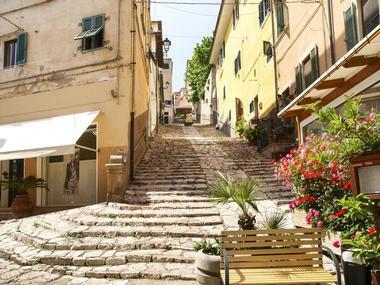 It was the home of the first Italian-language author, Andrea da Grosseto, and has been showcased in a number of major release feature films, including The Talented Mr. Ripley. Unique regional cuisine includes the region’s signature acquacotta soup and schiaccia alla palla oven-baked bread. 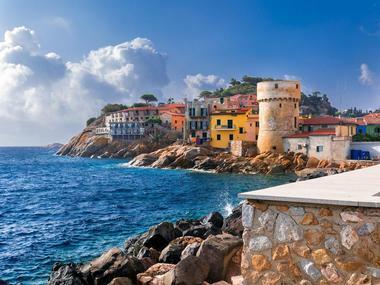 Isola del Giglio is a comune within the Province of Grosseto, located within the Tuscan Archipelago in the Tyrrhenian Sea, and is part of Arcipelago Toscano National Park. The mountainous island is covered in granite and Mediterranean vegetation, with much of its land serving as a viticultural region for the production of Ansonaco wine. The island houses three cities, including the resort area of Giglio Campese and Giglio Porto, which houses the remains of a first century Roman villa of architectural significance. It serves as the setting for bestselling 2007 Italian novel Scusa ma ti chiamo amore and is home to archaeological remains of an Etruscan shipwreck from the Iron Age. 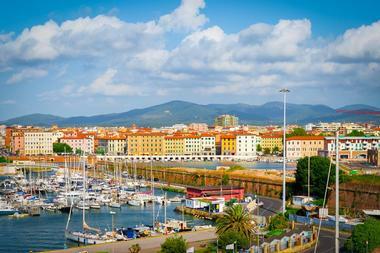 Livorno is a major port city along Tuscany’s western coast, home to a population of more than 150,000 residents. The area has been inhabited since the Neolithic Age and was constructed as an ideal Italian town during the Renaissance while under the rule of the House of Medici. Today, it is known for its collection of splendid civic, religious, and military historic architecture, including its Venezia Nuova, Cathedral of Saint Francis of Assisi, and 16th-century Fortezza Vecchia. The unique Terrazza Mascagni waterslide promenade serves as the city’s center thoroughfare, while the Monumento dei quattro mori honors the rule of the Medicis. Popular seafood restaurants and museums are located throughout the city’s cultural regions, including the canal-lined Venezia Nuova quarter. Lucca is a comune located along the Serchio River, serving as the capital city of its eponymous province. 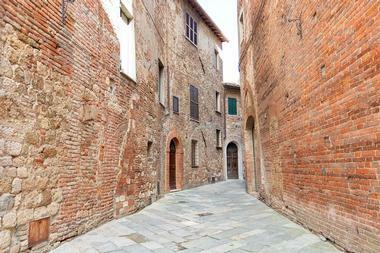 Its development dates back to the Etruscan era, with its original Roman street plan still intact in its downtown area. Today, it is best known for its preserved Renaissance-era walls, which circle its historic city center. Notable public sites include the rooftop pedestrian promenade Passeggiata delle Mure Urbane and the Piazza dell’Anfiteatro, which once housed a famed Roman amphitheater. A museum honors the city’s Casa di Puccini, credited as the site of the birthplace of the modern opera composer. 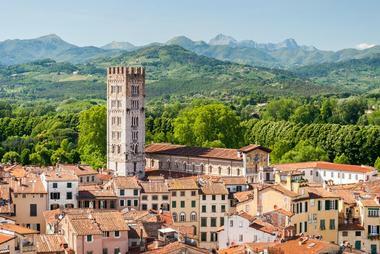 Every summer, the city hosts the Lucca Summer Festival, which draws artists such as Eric Clapton and Santana. Montalcino is a comune within the Province of Siena that is best known for its production of Brunello di Montalcino wine, which is made from sangiovese grosso grapes and was the first Tuscan wine to be awarded the prestigious Denominazione di Origine Controllata e Garantita status. The city is named for a local type of oak tree and is also home to a large number of productive olive orchards. Historic sites within the city include a 13th-century fortress and the Chiesa di Sant’Agostino, noted for its Romanesque facade. Several significant archaeological sites are also contained within the city, including the Sant’Antimo Benedictine abbey and the ruins of the Rocca castle. Since 2010, it has hosted the Festa Europea Della Musica, which strives to promote wine-related tourism in the region. Montecatini Terme is one of Tuscany’s most famous spa towns, known for its geothermal hot springs that provide spa treatments and saunas at complexes such as the Art Nouveau-style Parco delle Terme. Its Viale Verdi region is home to historic sites such as the former Medici residence Palazzina Regia and the Giuseppe Petroni-designed War Memorial in Royal Park. The Medieval village Montecatini Alto is accessible via funicular car, showcasing sites as the Torre dell’Orologio clock tower and the Romanesque-style Santa Maria a Ripa church. Works by noted artists such as Claes Oldenburg and Joan Miró are displayed at the Montecatini Contemporary Art museum, and cultural attractions such as the Teatro Verdi present plays and concerts. Montepulciano is a Medieval-era hilltop city within the Province of Siena, located atop a 1,985-foot-high limestone ridge near Pienza. The city is surrounded by vineyards and noted as an important producer of Vino Nobile red wine, produced from Montepulciano grapes and considered among the country’s finest varietals. Its elegant historic center is anchored around the Piazza Grande, which is home to the 14th-century Palazzo Comunale and a 16th-century cathedral. 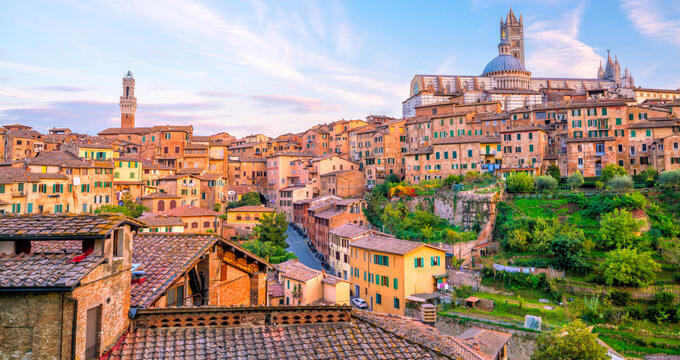 Other landmarks include the Madonna di San Biagio temple and the Museo Civico di Montepulciano, which displays important archaeological items uncovered in the region. In addition to its fine wines, the region is also noted for its production of pork, cheese, lentils, honey, and unique pici pasta. On the final Sunday in August, the town holds its competitive bravio delle botti barrel race, which dates back to the 14th century. Monteriggioni is a famed walled Tuscan town within the Province of Siena that dates back to the Middle Ages, known for its references in literary and pop culture works as diverse as Dante’s Divine Comedy and the Assassin’s Creed video game series. The town is located atop a natural hillock and is encircled by an 1,870-foot stretch of circular walls constructed between 1213 and 1219. The majority of the town’s original structures are still intact, including its 14 castle towers. 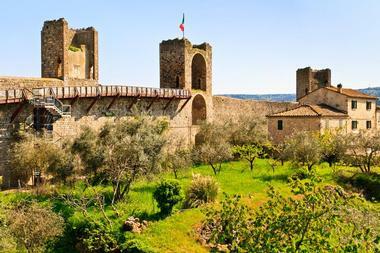 Outside the historic town center fortifications, the Monteriggioni in Arme Museum showcases replicas of ancient weapons, and Chianti Sculpture Park houses a significant collection of modern art works. 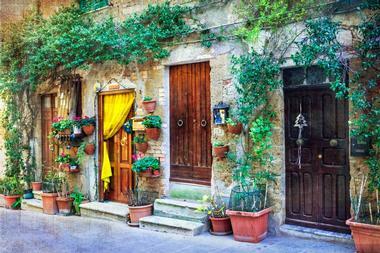 Pienza is the cultural center of the Val d’Orcia and is best known as the site of Pope Pius II’s birth in 1405. 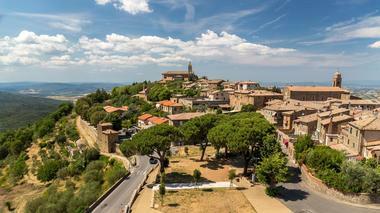 Following the Pope’s appointment, he transformed his hometown, which had been previously known as Corsignano, into an Ideal City developed by architect Bernardo Rossellino. 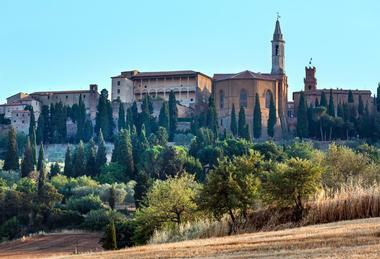 Today, the town is recognized as a UNESCO World Heritage Site, home to a number of beautiful 15th-century buildings and sites, including the Pienza Cathedral, Piccolomini Palace, and the Pieve de Corsignano Romanesque church. It preserves the longstanding regional tradition of teatro povero, or “poor theatre,” with productions presented in the nearby village of Monticchiello. Piombino is located on a promontory across from the Tuscan Archipelago, at the border of the Ligurian and Tyrrhenian Seas near Elba Island. 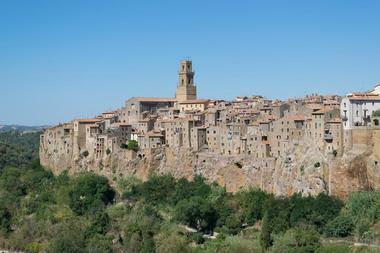 The comune is home to more than 35,000 residents and is one of the major cities along the Etruscan Coast. It is home to a significant collection of architectural wonders, including the 14th-century Casa delle Bifore, the former ship restocking facility Fonti di Marina, and the Cathedral of Sant’Antimo. Inside the Palazzo Nuovo, the former home of Napoleon’s sister Elisa Bonaparte, the Populonia Archaeological Museum houses Etruscan and Roman artifacts. The city is also a popular site for boaters and is home to natural attractions such as Sterpaia Nature Park and the Orti Bottagone Nature Reserve. Pistoia is a Roman-era city that was designated as the capital of Italian culture for 2017, located approximately 30 kilometers northwest of Florence. The charming city has been dubbed as the “city of enchanted stone” by a number of Italian poets and is known for the beautiful historic buildings set around its Piazza del Duomo, including its silver-altared Cathedral of San Zeno. Several museums are housed within the 11th-century Palazzo dei Vescovi, while some of the city’s oldest religious buildings are located in the Piazza della Sala. Cultural events held throughout the year include the city’s annual blues festival, held in July, and its Medieval-style Giostra dell’Orso tournament. 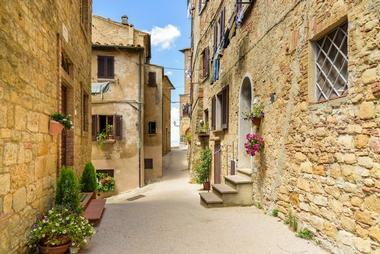 Pitigliano is a village within the Province of Grosseto that is known as Italy’s Little Jerusalem for its significant and thriving Jewish population. The town is located within the valleys of the Meleta and Lente Rivers, with architecture constructed into the region’s volcanic tuff overhanging walls. Within its restored 15th-century synagogue, visitors can see an underground tuff cellar used to make kosher wine, a historic cemetery, and a former butcher shop. Wine production in the region is aided by its unique geology and rich soil, with the area renowned for its Bianco di Pitigliano wine, considered to be one of the best white wines produced in Tuscany. 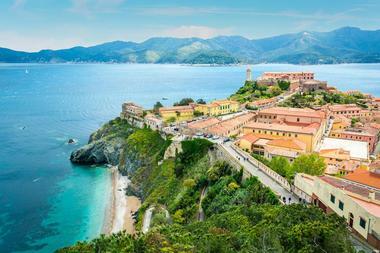 Portoferraio is the largest city and seaport on Elba Island, predating the area’s Roman settlement, though much of its current architecture was constructed during the rule of the Medicis. Architectural treasures include the Romanesque Church of Santo Stefano alle Trane, the Volterraio Castle, and the city’s Napoleonic villas, while cultural sites include the Italo Bolano International Art Center and the Ottone Botanical Garden. Other major attractions include the San Giovanni Thermal Baths, the island’s only hot springs resort. Beautiful beachfront areas are offered at Scaglieri, Forno, and Biodola, and the historic Portoferraio Lighthouse, constructed in 1788, is visible from Forte Stella’s northern rampart. Prato is located near the foot of the 2,520-foot Monte Retaia and is the second-largest city in Tuscany behind Florence, home to more than 193,000 residents. Its elegantly-preserved city center is home to the Emperor’s Castle, which showcases Swabian-style architecture, and the Cathedral of Santo Stefano, which features an external pulpit crafted by Donatello and Michelozzo. It houses the historically-significant Datini archives, an important collection of Medieval-era economic documents that were produced in the late 14th century. As the result of a rise in tourism throughout the past several decades, the city is also home to a large number of hip restaurants, bars, and cultural attractions, including the Luigi Pecci Centre for Contemporary Art and the Textile Museum. 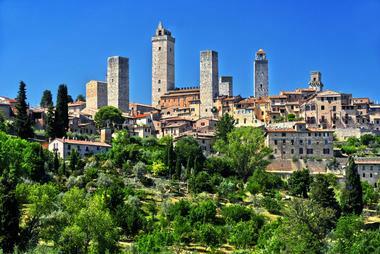 San Gimignano is a Medieval-era walled town that has been preserved as a UNESCO World Heritage Site since 1990, known as the “Manhattan of the Middle Ages” due to its high volume of architectural towers, such as the Torre Grossa stone tower. 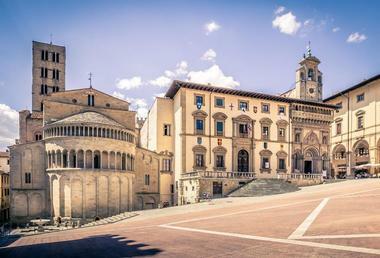 13th-century stone walls circle the town, which is centered on the beautiful triangular Piazza della Cisterna. 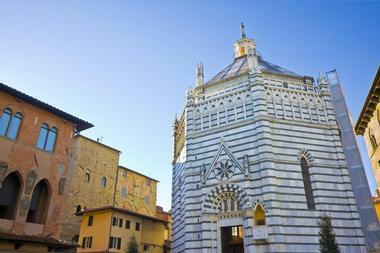 Other historic highlights include the 12th-century Duomo di San Gimignano, considered to be one of Tuscany’s finest churches, and the city’s Town Hall, which houses its Civic Museum and a number of important works by artists such as Pinturicchio, Filippino Lippi, and Benozzo Gozzoli. It is also known for its Vernaccia wine, a golden wine that is frequently paired with bread, vegetable, and seafood dishes. 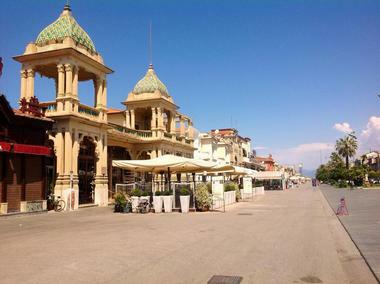 Viareggio is a seaside town in Tuscany that is best known for its spectacular annual Carnevale parade and celebration, held annually since the mid-19th century. The celebration spans four weeks and showcases world-renowned papier-mâché floats and nighttime parties throughout the city’s four major neighborhoods that close down the streets for evenings of music, dancing, and masquerades. Reproductions of floats showcased in past years can be seen at the Carnival Museum. 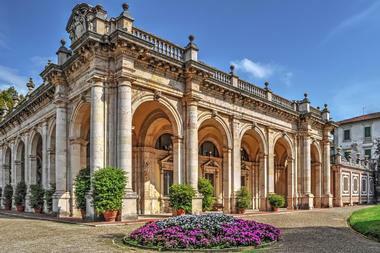 Other cultural sites throughout the city include the Villa Paolina Civic Museums, which showcase archaeological artifacts and historic musical instruments, and the Villa Puccini living history museum, preserving the former residence of the famed composer. Volterra is a walled town near Florence that was expanded into its current form around the year 1000 and has remained largely unchanged since the Medieval era, showcasing its rich artistic and cultural heritage throughout its historic city center at sites such as the Guarnacci Etrurian Museum and the Museum of Sacred Art. 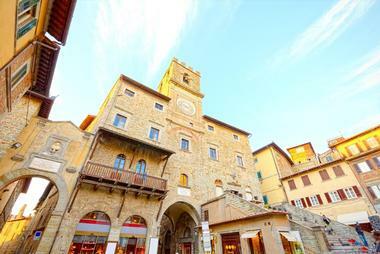 Significant Medieval frescoes and bell towers are preserved within the Palazzo dei Priori city center, along with structures such as the splendid Volterra Cathedral. Outside the city center, a number of important archaeological ruins are preserved, including the 3rd-century bathhouses of the Roman Theatre complex and the remains of the Etruscan Acropolis.